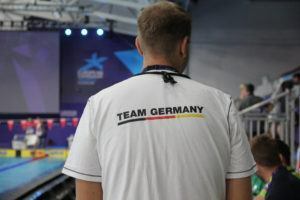 Sources from the German Swimming Federation claim that the Berlin stop of the 2019 FINA World Cup Series, as listed on the FINA website, has still not been officially confirmed. 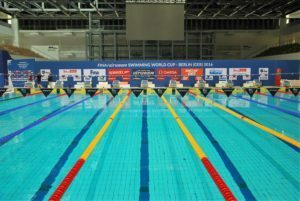 After cutting Berlin from the FINA World Cup Series back in 2018, FINA has reintroduced it into the schedule to replace the recently lost Eindhoven stop. Vladimir Morozov’s $332,400 in prize money led all earners on the 2018 World Cup series. Both he and women’s champ Sarah Sjostrom cracked $300,000, and six swimmers earned six-figure prize totals. Sarah Sjostrom and Vladimir Morozov won the 2018 World Cup titles. See the full point totals for all competing athletes here. Vlad Morozov fell just .01 shy of the 100 freestyle World Record held by Amaury Leveaux from back in 2008. American Michael Andrew is keeping his stellar meet alive in Singapore, nabbing 2 top seeds on day 2. After 27 consecutive World Cup victories in the women’s 100m IM, Katinka Hosszu saw tonight’s race go to Sweden’s Sarah Sjostrom. 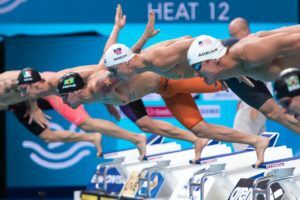 The difference of 3 FINA points may prove crucial when it comes to handing out the overall series crown. China’s Wang Shun lowered his own National Record en route to a bronze medal in the men’s 100m IM tonight in Singapore. While competing on day 1 of the final stop of the 2018 FINA World Cup Series, Russian speedster Vlad Morozov knocked off his own World Cup Record in the men’s 50m freestyle. Katinka Hosszus is entered in 15 events in her bid to overtake Sarah Sjostrom as World Cup Series champion, while Joseph Schooling makes his home country debut in the series. Grigory Tarasevich qualified for the Russian Short Course Worlds team on the final night of Nationals in the men’s 200 back. Daniil Pasynkov added his name to Russia’s SC Worlds team at their National Championships in Kazan with a big win in the men’s 400 IM. Michael Andrew fell just short of gold in the men’s 50m fly, but came within .01 of Tom Shields’ American Record tonight in Tokyo. 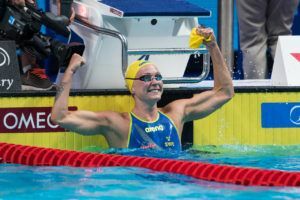 World Record holder Sarah Sjostrom of Sweden fired off the fastest 100m fly time of the morning. She also produced a finals-worthy time in the 100m free. Rozaliya Nasretdinova set a new Russian record in the women’s 50 fly at their Short Course National Championships in Kazan. Daria Ustinova threw down a Worlds qualifying 2:02.25 in the women’s 200 back in Kazan. 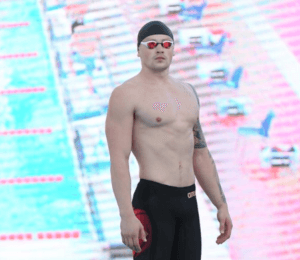 While competing on day 1 of the FINA World Cup in Tokyo, the city hosting the 2020 Olympic Games, Russian Vlad Morozov tied his own World Record in the men’s 100m IM with a time of 50.26.